Why a Ranger Run? Well, simply stated cause it sounds hard and fun. The Army Rangers are one of the most elite military forces in the world and what they do is hard. 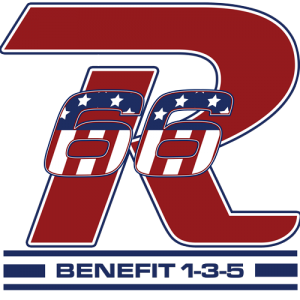 To honor their hard work and commitment we’ve created a run that represents their initial efforts to get into the first phase of Ranger School. This gives us just a taste of what they endure to be called an Army Ranger. What does the order/process look like? In an effort to keep the competition on equal footing we will do each aspect of the Ranger Run in the same order the Ranger Candidate would do them with one exception. You will be instructed to partner up with someone of the same gender. Each person will receive a scorecard in their race packet. The scorecard will be handed to your chosen partner and they will count the number of push-ups done in 2 minutes and then you will switch. You will then do the same thing for the sit-ups. Once this is done, you will leave your cards to be picked up by our volunteers. The chip timing will be a mat start, meaning your 5K run time begins when you cross the mat and ends when you cross the finish line. As you cross the finish you will pick up your card and head immediately over to the pull-up station where a volunteer will count the number of pull-ups you are able to do in 2 minutes. In the military, the score for Physical Fitness Tests moves along a sliding scale based on age and the number of repetitions in each exercise performed, i.e. a male who completes 77 Sit-ups in 2 minutes and is in the 27-31 year old age group would score 100 pts. 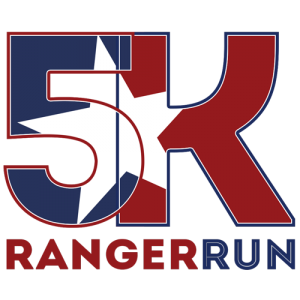 Our scoring will work the same way across all aspects of the Ranger Run, Push-ups, Sit-ups, 5K Run and Pull-ups. Keeping this in mind we are left with the possibility of a tie by overall number. Ties will be broken by comparing overall repetitions in each exercise. The process is completely objective. Bonus points are available to a person who is able to complete more than the number required for their age/gender group to receive 100pts. Using the same example as above, the male in the 27-31 doing 77 sit-ups in 2 minutes would receive 100 points in the sit-up portion of the race. With the bonus points, a competitor would receive 101pts for 78 sit-ups, 102pts for 79 sit-ups, 103 pts for 80 sit-ups etc, etc, etc. This process will be carried over to each exercise except the 5K run. What are the age group breakdowns? We have decided to use the age group breakdown for both men and women that the United States Army uses. The breakdown is as follows for both men and women. Under 16, this is our own age group since you must be 17 to enter the US Army. The others are: 17-21, 22-26, 27-31, 32-36, 37-41, 42-46, 47-51, 52-56, 57-61 and 62+. Well, there is it. Like I said before the race isn’t complicated but I am certain it’ll be hard. I can’t wait to see you…until then.